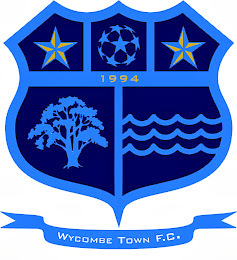 Wycombe Town FC: Last Training Evening of The Season! Everyone is welcome to the last Wycombe Town FC training session of the season at Wye Valley School Astroturf, meet at 7.15pm....see you there!!! Extremely helpful information specially the ultimate part :) I handle such info much. might never understand. It seems too complex and very large for me. An outstanding share! I've just forwarded this onto a friend who had been conducting a little homework on this. And he actually bought me dinner due to the fact that I discovered it for him... lol. So let me reword this.... Thank YOU for the meal!! But yeah, thanks for spending the time to talk about this topic here on your website. We're a gaggle of volunteers and starting a brand new scheme in our community. Your site offered us with helpful information to work on. You have performed an impressive activity and our entire neighborhood can be thankful to you. The clarity on your put up is simply excellent and that i could suppose you're a professional in this subject. Fine with your permission let me to grab your feed to keep up to date with forthcoming post. Thanks 1,000,000 and please keep up the rewarding work. the way through which you assert it. You're making it entertaining and you continue to care for to stay it sensible. I can not wait to learn much more from you. This is really a great site. your weblog and in accession capital to say that I acquire actually loved account your blog posts. I don't know why I am unable to join it. Is there anyone else having identical RSS problems? Anyone that knows the solution will you kindly respond? Thanx!! Quality articles is the important to invite the people to go to see the site, that's what this web page is providing.